This CD should have been released some six years earlier when the Russian trio Second Approach emerged as the super group on the Moscow horizon. 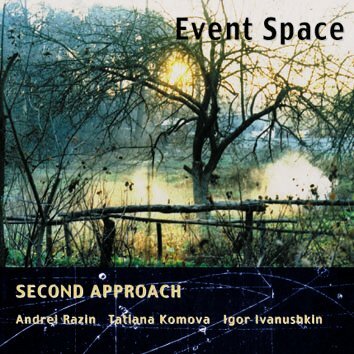 Andrei Razin (piano), Igor Ivanushkin (bass) and Tatiana Komova (voice) play highly original blend of classical, folk and jazz music which is impossible to classify. Suffice it to say that to see the trio on stage makes it a totally unique experience. Testimony to this fact is the ecstatic and overwhelming reaction of the audience wherever they play, be it Germany, Finland, Norway, Poland, Israel, Lithuania, Bulgaria and Russia, of course.